On Sunday, June 12, the 70th annual Tony Awards made for a moving evening at the Beacon Theatre. Actor James Corden hosted Broadway’s biggest night; Lin-Manuel Miranda recited a sonnet honoring both his wife and the victims of the Orlando tragedy in lieu of an acceptance speech; and the event featured musical numbers from Hamilton, She Loves Me and The Color Purple, to name but a few. Surprising absolutely no one, Hamilton ran off with the most awards—11 in total—including Best Musical, Best Original Score and Best Costume Design. Read on for the major-category winners (shows whose titles are not linked have finished their Broadway run). Click here for tickets to Broadway shows in NYC. 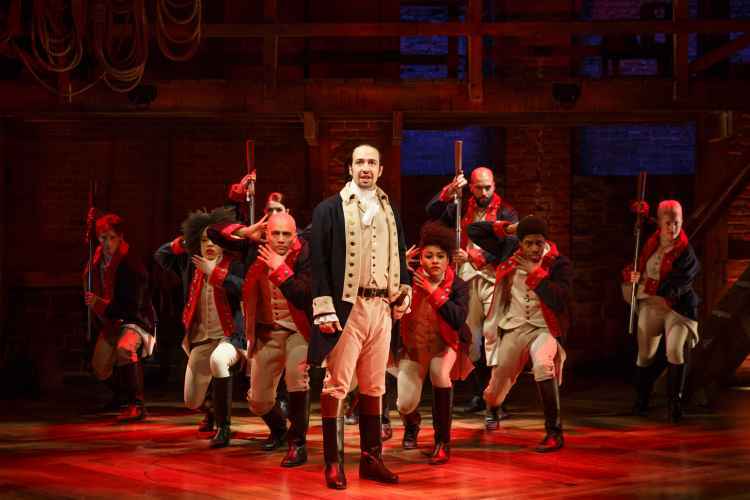 This multilayered hip-hop musical about founding father Alexander Hamilton won the 2016 Pulitzer Prize for drama and has achieved full-fledged phenomenon status. Lin-Manuel Miranda, who wrote the music, book and lyrics, plays the title character who goes from orphan child to war hero to political mastermind. Pulitzer Prize finalist (for Sons of the Prophet) Stephen Karam wrote this drama, in which one family’s longstanding resentments, secrets and grudges pour forth over the course of one Thanksgiving dinner. This iteration of Alice Walker’s Pulitzer Prize–winning 1982 novel features a star-studded ensemble cast—including Heather Headley—and a score with a rich array of music from the jazz era. This 1955 classic by Arthur Miller focuses on a Brooklyn longshoreman who’s obsessed with his 17-year-old niece, a situation that descends into jealousy and familial tragedy. British singer-actress Erivo lends her powerful voice to the role of Celie, whose path to womanhood is at the center of the story. Langella portrays 80-year-old Andre, whose vision of the world has been warped by dementia, in French playwright Florian Zeller’s drama. As drug-addicted Mary Tyrone, Lange is the matriarch of a family whose members struggles with one another and the world around them.